Part 1: What Is Reiki? Therefore, Reiki can be literally translated as spiritual energy. We are talking about the energy that makes up all things. Everything is created from energy. Quantum physicists are learning more and more about this energetic world. So when we say Reiki energy in a general way, that is what we are talking about. The system of Reiki was created in the early 20th century by a Japanese man named Mikao Usui, and this system was about spiritual development: -- the spiritual development of our own energy. A by-product of this personal inner, spiritual work is to be able to assist others with their own self-healing. One of the things about Reiki that is so wonderful for the animals is that you absolutely don't need physical contact or touch, and it is totally gentle and non-invasive. So when we talk about animals who are sick or have been traumatized or abused or have some issues that they need healing with, Reiki can address all of these issues -- physical, mental, emotional and spiritual. Whatever the issues are, Reiki can address them all from a gentle, non-invasive space. I think of Reiki as more of a meditation that we do with our animals than an active treatment that we are doing to our animals. It is very different from many other holistic modalities because of its very passive and gentle nature. That makes it ideal for animals who have been traumatized, who are wild but in captivity like exotic animals in enclosures. You can even offer Reiki in nature to wild creatures, such as some nearby deer who are grazing. 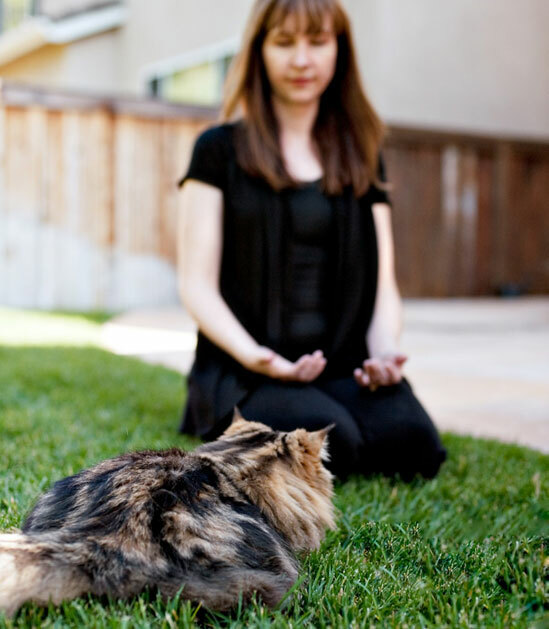 And we can also use Reiki for domesticated animals in our homes or the homes of friends. It is such a beautiful way to connect to another species -- seeing the animals at a deeper level. When you connect in the Reiki space with another being, you see that we are all the same, that we are all connected and we are all one. And that brings us back to the spiritual ideal that the founder of Reiki, Mikao Usui, taught -- to go deeper within ourselves and uncover our true nature, which is, in a nutshell, remembering our oneness with all things.